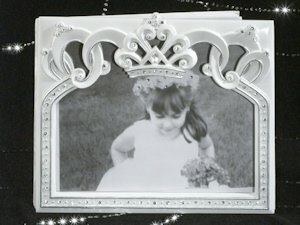 You'll be able to remember who helped you celebrate your royal day when each one signs their good wishes in our Royalty for a Day Guest Book. 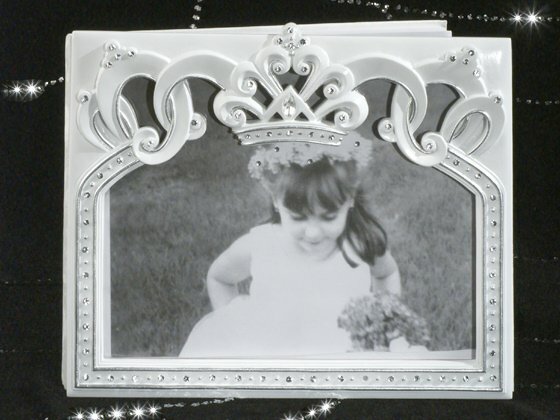 A keepsake you'll cherish for a lifetime, the 8 x 10 book has a sculpted resin cover with removable photo insert, along with tiara shaped accents and perfectly placed crystals. Book comes gift boxed. Also search our site for the entire Royalty for a Day Reception Set - which includes cake servers, toasting flutes, guest book and pen set.